I have been serving Tucson residents in my capacity as Ward 1 Council Member for the last 11 years. I am strongly committed to continue moving our great city towards prosperity and to lead as Mayor of Tucson. 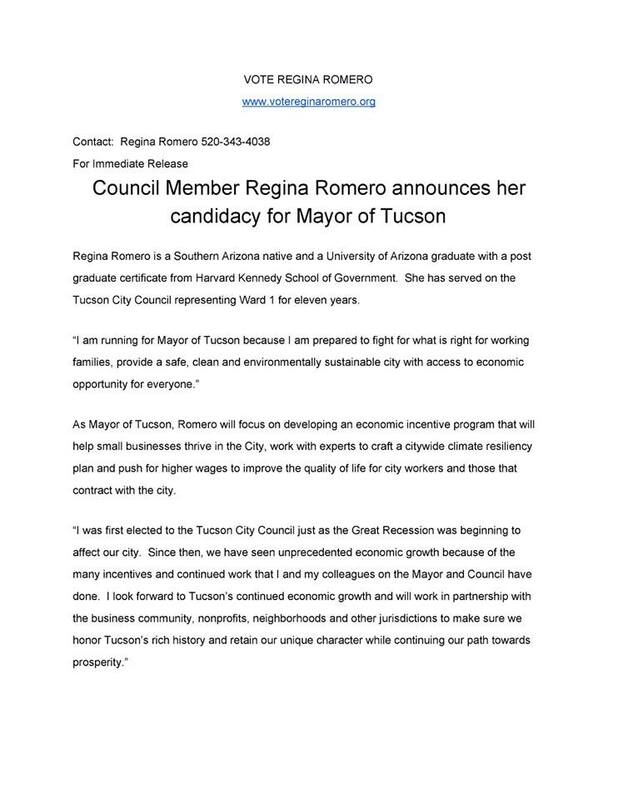 See press release below for details and visit my Facebook campaign page to learn more: Regina Romero. 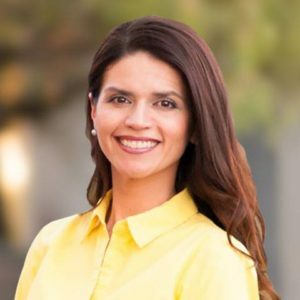 Carolyn’s note: Regina is a 3 term Councilmember for Ward 1, and is married to Ruben Reyes, CD 3 Congressman Raul Grijalva’s District Director. 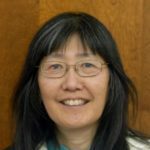 She also works as the Director of Latino Engagement for the Center for Biological Diversity. Current Mayor of Tucson Jonathan Rothschild has decided to step down after 2 terms. Since Regina will not be running again for Ward 1 Council, that seat will be open as ell.